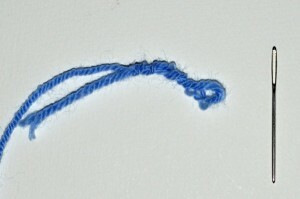 The Russian Join is a great method for splicing together yarn. 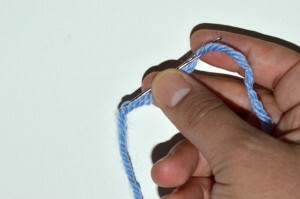 You can use it in the middle of a project to join in new yarn without weaving in ends later, or you can use it to organize your smaller bits of stash yarn to create a “magic yarn ball.” It’s a fairly straightforward process, but it can be a bit tricky to hold and navigate with a tapestry needle. Follow along with the photos below for a step-by-step tutorial on this joining method. 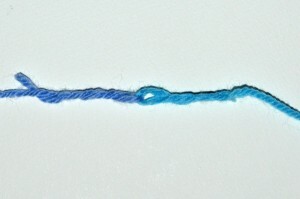 To splice yarn together with the Russian Join, first thread a tapestry needle or small yarn needle with one of the yarns. 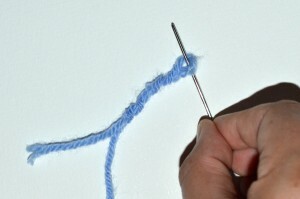 Gently insert the tapestry needle into the yarn, so that it goes inside of the plies. 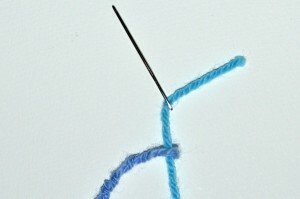 Remove the tapestry needle slowly, while holding onto the small loop of yarn. This may be challenging at first. Now thread the tapestry needle with the other yarn. 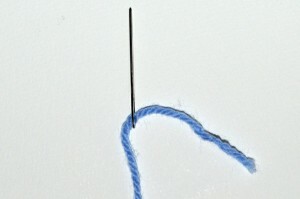 Insert the needle into the small loop of the first yarn. 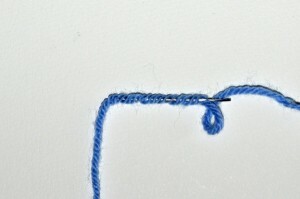 Pull the new yarn through the loop. Slowly remove the tapestry needle. You do not need to hold onto the loops this time. 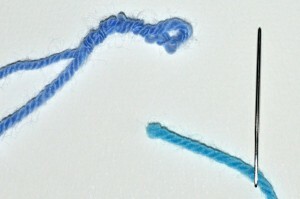 Trim away the excess yarn tails. The section of yarn with the Russian Join will be slightly thicker than other parts of the yarn, but in most cases will not be visible in your finished project. 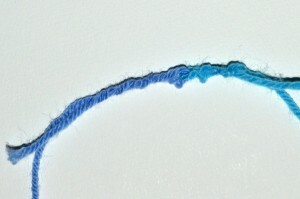 You may find it necessary to trim away excess yarn tails again after crocheting, as some may emerge after you start stitching. When creating a magic yarn ball, choose yarns to splice together that have the same fiber content or care instructions. 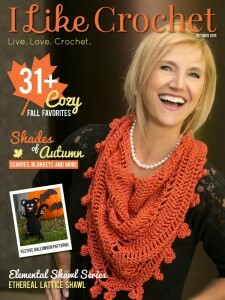 You can splice yarns together randomly, or plan your colors so that your finished yarn ball is more harmonious looking. Have you used this technique before? What do you think? Tell us on our Facebook page! Sounds like how I was taught to add a new yarn without having to take the time to do a Russian join. Just place the end of the next yarn and continue to knit or crochet, leaving a tail from each yarn to be woven in later. much faster. I can’t wait to try this technique. When I go to yarn shows, I come home with lots of samples. I also hate to throw any little pieces away. I have used this technique for several years. I would just add that once you have your two loops joined, you need to pull the tails to close the loops and tighten up where they are joined. Then trim the tails. 1st time. confused take short yarn on needle go& on NEW yarn go down & come up?? Not enough information for me to understand how to do hindaa’s method. Thanks so much for the new info. Love it! I’ve been using this technique constantly ever since I recently tried it. However, I do it slightly differently. 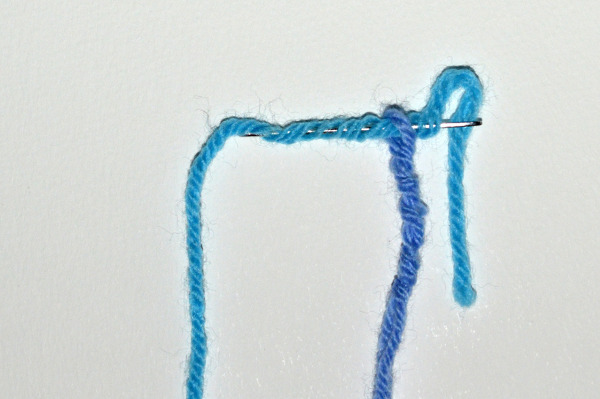 The way I do it, I don’t have to worry about creating the small loop or having to hold onto it before and while threading and inserting the other end of yarn. I simply cross the two ends of yarn over each other and then weave in each end along its length. I’m going on a trip and I’m flying – can I bring my work in progress?